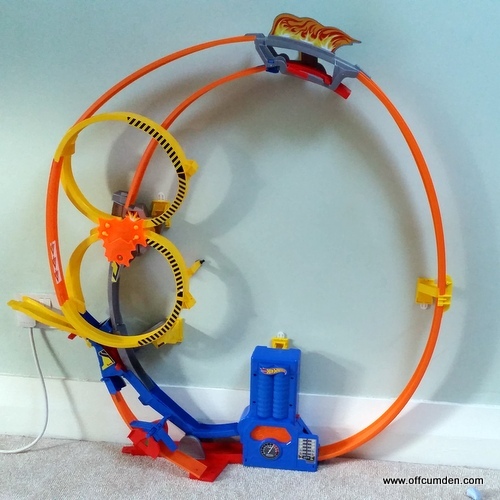 We received a Hot Wheels Super Loop Chase Race Track Set to review. 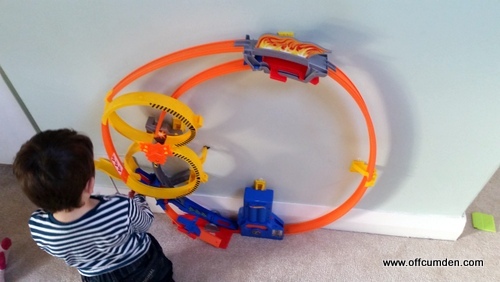 We have reviewed Hot Wheels products before, you can read them here, here and here. This set was different because it doesn't take up much floor space. It attaches to the wall instead. I got to work putting the track together. In total this took around 45 minutes, including putting the stickers on and assembling the track. It probably would have been quicker had I realised that the track was all labelled underneath. I only realised about five minutes before the end! Get ready for the fastest chase on a huge loop! Our new boosted track set launches your cars at top speed for gravity defying action! See your wheels brave and try to make it up and around a spectacular 3-foot tall loop. Send multiple cars racing at once for a thrilling high-speed chase. Who will take the hair-raising shortcut vying for the lead? Will the shortcut cause a mid-air crash and send your racer flying off of the set? This floor based boosted set is a must have for racing fans who love huge crashes and big wins. Connect more sets to keep the race going! Each sold separately, subject to availability. Requires 4 D batteries. Includes 3M Command Strips to secure the track to the wall for support. Ages 4 and older.Features: New track set launches your cars at top speed for gravity defying action!o See your wheels brave and try to make it up and around a spectacular 3-foot tall loop.o Send multiple cars racing at once for a thrilling high-speed chase.o Who will take the hair-raising shortcut vying for the lead? Will the shortcut cause a mid-air crash and send your racer flying off of the set? Connect more sets to keep the race going! Each sold separately, subject to availability. Requires 4 D batteries. Includes 3M Command Strips to secure the track to the wall for support. There are different ways to keep entertained with the track and two different ways the cars can go. You can also race cars on the track. Make sure you buy the batteries because they are not included in the pack. The stickers which attach to the wall are not particularly strong and I have already had to replace one of the stickers. It is very loud when turned on. The RRP for this track is £45.99. 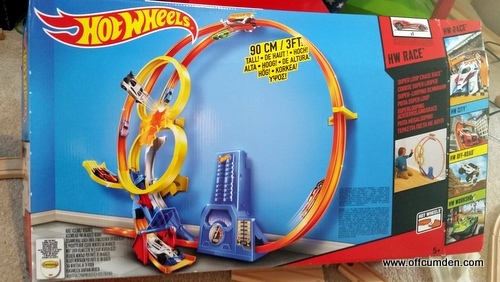 It would be a great addition to any Hot Wheels collection, or a fantastic initial investment for your little one. This would be a wonderful Christmas present if you are still wondering what to buy. My children both love this track set and have been playing with it every day since we received it. Disclosure: We received this trackset for the purpose of review. 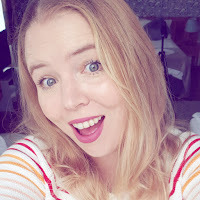 This had no impact on my post, which is honest and fair.